In feng shui, fish and the number of fishes in an aquarium is always important. You can use fish either in a koi pond outside your home or in an aquarium inside your home. 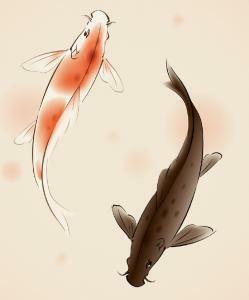 Both uses are auspicious, especially feng shui goldfish, such a Arrowana and black moor. Most feng shui practitioners agree that the number nine is the most auspicious number, so it's no wonder that this is the favored number of fish for your tank or aquarium. The number nine is the number for prosperity, which symbolizes your wealth having a long life span. 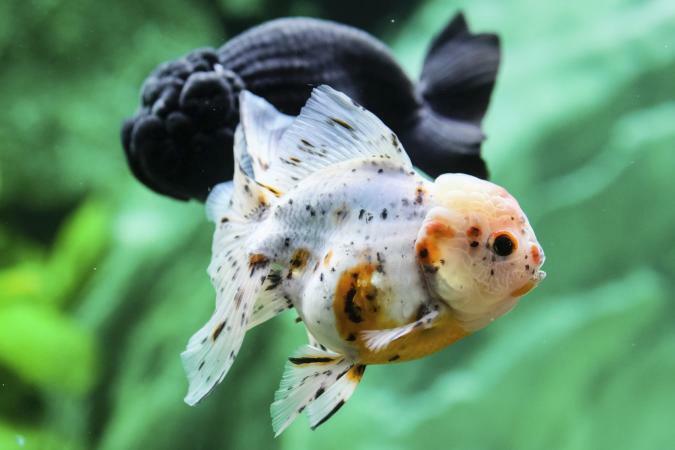 The best combination of nine fish in your house in an aquarium is eight goldfish or Arrowana fish (a Chinese good luck fish often referred to as a dragon fish and is best used in a koi pond due to grown size of over four feet) and one black-colored goldfish (black moor). With the combination of eight red and one black fish, the fish symbolize prosperity, energy, and good fortune. The number eight is the major prosperity number for feng shui practices. The one black goldfish is most important since its purpose is to absorb any negative energy that enters your home. The black goldfish therefore becomes a symbol of protection. If the black fish dies without any known cause, such as under-oxygenated water, overfeeding, or lack of food, it is believed the fish died from absorbing bad luck that was meant for you. In fact, many people believe that if any fish in the tank dies without a justifiable cause, then its sacrifice was to spare you the bad luck that was headed your way. You want to always remove a dead fish from the tank immediately and replace it as soon as possible. There are many practitioners of feng shui who give their dead fish a nice burial and say prayers or mantras for them. It's common knowledge black fish die more often than the goldfish; there are some biological explanations, such as the moor has poorer vision and cannot compete fairly for the food. 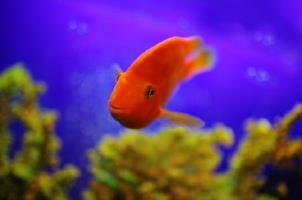 The most important rule for an aquarium is to keep the water clean. If the water becomes stagnant or dirty, the fish will not be healthy or happy. This type of unkempt aquarium attracts negative energy (sha chi) that can impact all areas of your life especially your wealth sector. In addition to choosing the number of fish to care for in your feng shui aquarium, follow feng shui rules for proper aquarium placement for the most auspicious chi. The feng shui lucky number of fish in a tank or aquarium varies depending on your personal flying star chart and of course, the size of the fish tank. The simplest rule is to have eight goldfish and one black goldfish.